which is a part of Fort Osage and has soilders from the War of 1812, Civil War, Spanish-American War, WWI, WWII, Korea, and Vietnam buried here. Race Starts at LaBenite Park, Sugar Creek, MO @ 9:00 a.m on August 6th. You Must Build it and then Race It!! 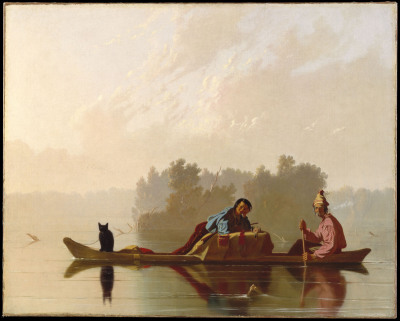 This unique and fun race is called “The Dispatch” in honor of the original occupants of Fort Osage, who routinely sent messengers down river in canoes to deliver dispatches to St. Louis. 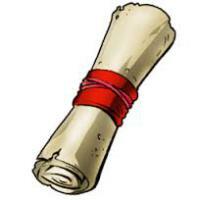 *Official Fort Dispatches will be given to all racers at registration. 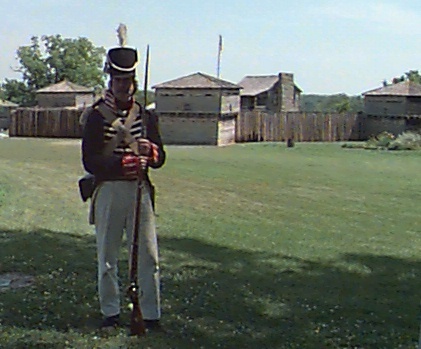 These dispatches will be copies of actual historical documents and letters, pulled from the archives at Fort Osage, which had actually been sent from Fort Osage to St Louis. 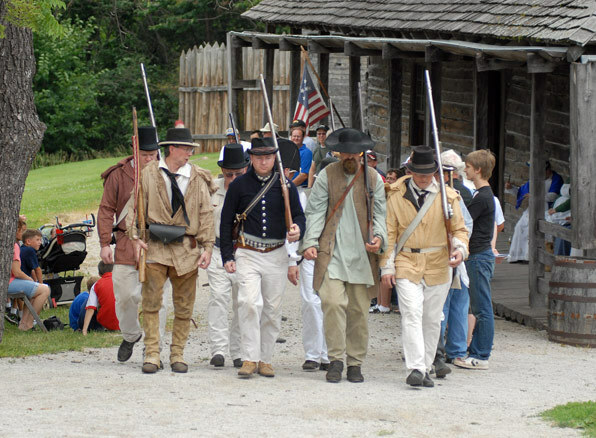 A Fort Osage soldier re-enactor will be present at the finish line, and every racer (both adults and children) must deliver their “dispatch” to the soldier in order to complete the race and receive their finishers coin... which is an official replica of the Jefferson Peace Medal. 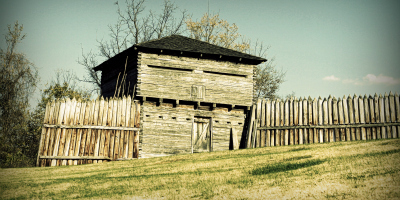 Every Adult racer will receive a finishers medal, tee-shirt, lunch, and 3 tickets for admission into Fort Osage. 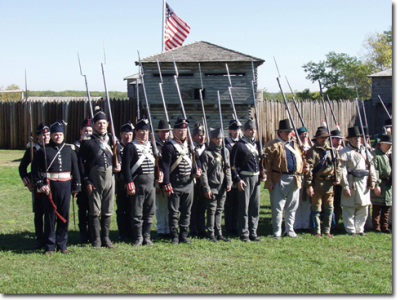 Militia Re-enactors from the Friends of Fort Osage will be present in full military dress!! They will be shooting off their guns and a large Canon!! Follow in the steps of our Ancestors! 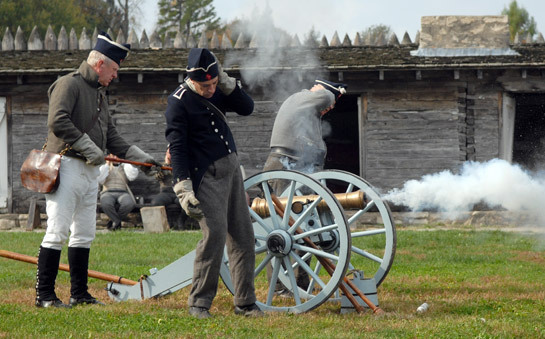 Re-enact a part of Missouri History! "Morning clear and cool. About 12 O'Clock we met the Chiefs and Warriors of the Big & Little Osages and the Kansas in Council and all Smoked the Pipe of Peace together..."
"After the council Mr. Prince with the Boat Started for St. Louis, by him I dispatched the Letters I wrote yesterday." 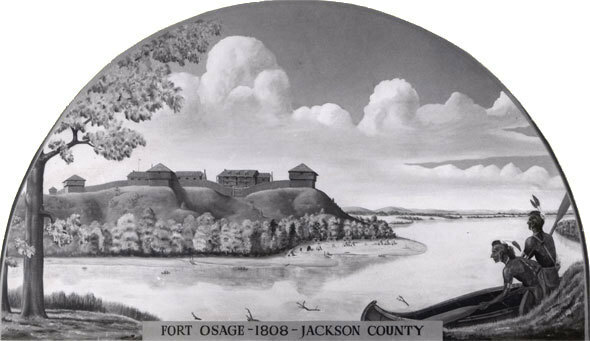 The U.S. government controlled the Native American trade on the Lower Missouri River by establishing Fort Osage (1808-1827). 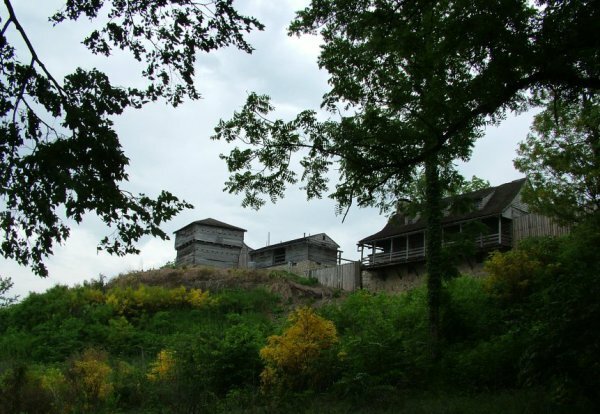 Both civilians and soldiers resided in the fort, and a common activity was sending letters, both personal and business, to St. Louis and points beyond. Couriers in dugout canoes and keelboats would deliver the mail, or dispatches, downriver. 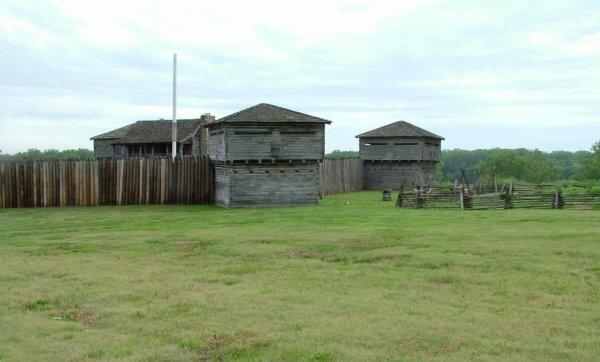 In St. Louis, these couriers would then collect the mail for the fort occupants and deliver them back upstream to Fort Osage. 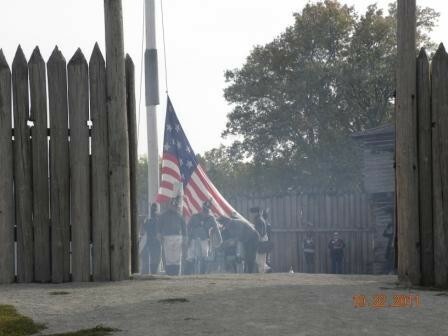 In the spirit of delivering Dispatches to Fort Osage, racers will be handed copies of actual Fort Osage letters which were written in the 1800's, or Dispatches, by a Fort Osage soldier re-enactor. 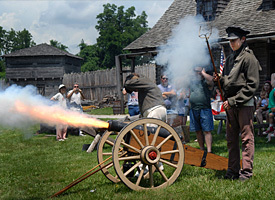 The racer will be given the task to deliver the Dispatch to another Fort Osage soldier re-enactor at the Fort Osage boat ramp, 16 miles away. The soldier will give every person who deliver's their Dispatch a finisher's coin, which will be the size of a silver dollar and will be a replica of the Jefferson Peace Medal. Racer's may also keep their Dispatches. 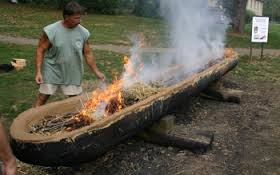 A dug-out canoe can also be made by repeatedly burning out and then digging out the burned portions of the interior of a large tree trunk. 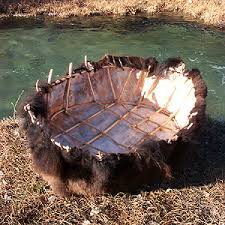 The framework was made of willow branches bent in a huge bowl shape about four feet across the top and eighteen inches deep. A bull buffalo hide (thus the word Bull) was then stretched around this framework. 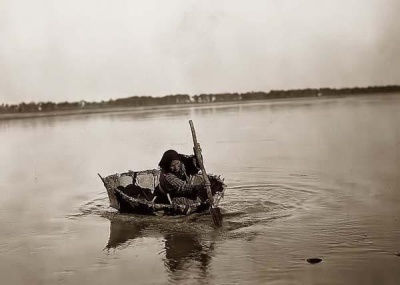 A bull boat is a useful small boat, usually made by American Indians and frontiersmen, made by covering a skeletal wooden frame with a buffalo hide. 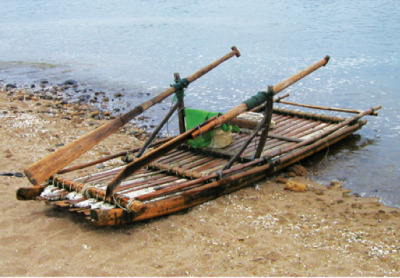 It was used for travel and fishing. 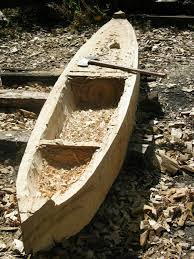 A specific style of dug-out canoe made from a hollowed tree trunk; designed as a light flat-bottom boat with pointed ends. They were used frequently by Louis & Clark. 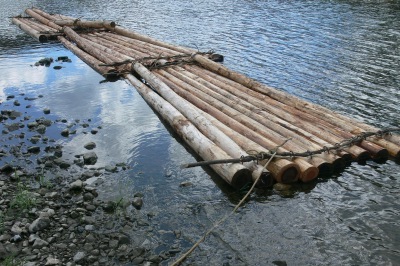 A flat structure, typically made of planks or logs, that floats on top of the water and is used for transport. 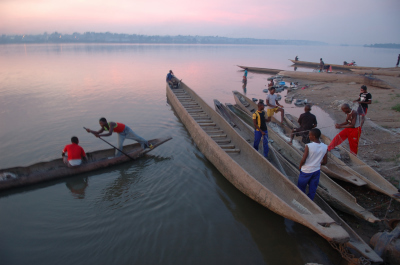 This is a rectangular flat-bottomed boat with square ends used to transport freight and passengers on inland waterways. The hull displaces water and so it floats in the water, (not on top of the water like a raft). This is a type of usually long narrow cigar-shaped riverboat or sometimes called a poleboat—that is built for the navigation of rivers. They were used for transporting cargo to market, and for exploration and expeditions. Sign up here to get your name on the Roster! ***Do you wish to run the 1/8 mile course to the river? .... Or Opt-out. website, but until then, please make checks payable to Just Around the Pointe and send them to the Sibley address below. ***There will be a very short 1/16th mile jog or walk from the starting line to the river where the boats will be lined up at. The purpose of this run is to help spread the racers out so there will not be so much chaos at the river bank, as people are trying to get into their boats and out onto the water. 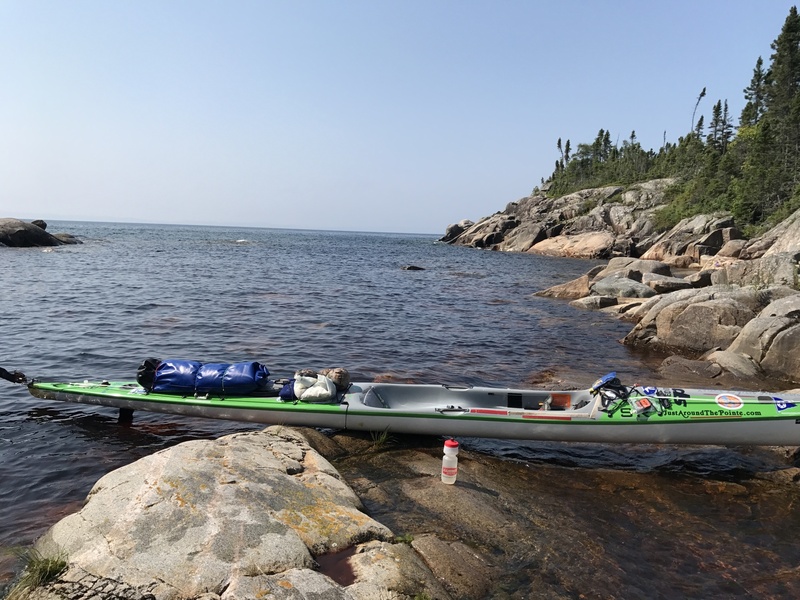 If you dont feel like you can do this short run, then you can opt-out of the run, in which case your boat will be positioned behind the boat of a person doing the run. 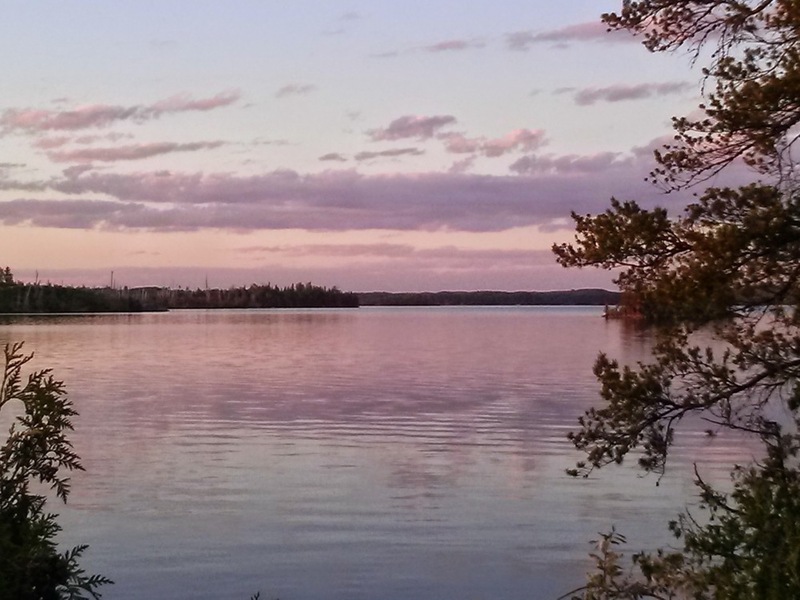 By opting-out, you agree to be positioned behind the individuals whom are jogging or walking to their boats, which will likely delay your on-water start by 2 to 5 minutes. However, if you are paddling tandem, with a partner, then only one person needs to do the jog/walk, the other person may remain at the river by their boat and wait for their paddling partner to arrive. Checks can be made out to Just Around The Pointe. You can sign up at any time... your name will be added to the roster. However, no tee-shirts will be ordered until payment is received. Individuals who pay on race day are not guaranteed a tee-shirt and /or a size that will fit them. 100% of all of the items sold at the Silent Auction will go directly to help restore the Historic Cemetery. Charlie Lockwood... Thetis Paddles.... has donated a bamboo paddle for the auction! 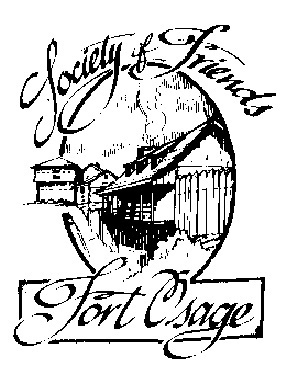 The Friends of Fort Osage have donated a reproduction of an 18th Century stoneware jug as a prize for one of the Dispatch Race categories. It's very cool, retail value of about $80. 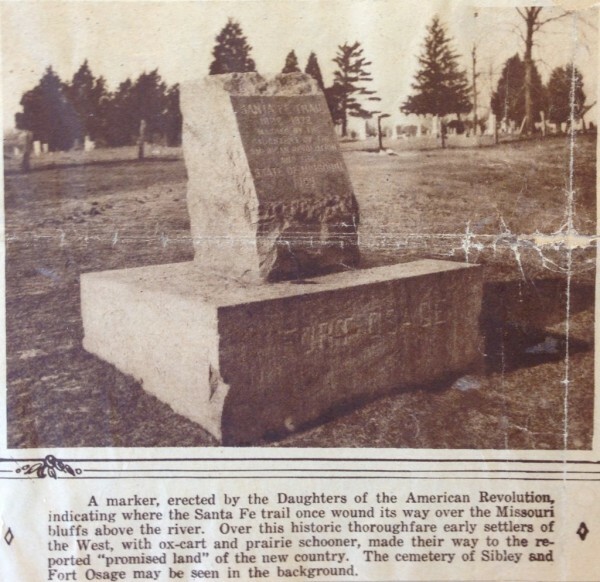 The Sibley Cemetery dates back to 1810 making it the oldest cemetery in Jackson County and the oldest Euro-American Cemetery in Western Missouri. 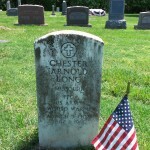 There are 600 known graves in the cemetery, with the oldest graves being soldiers from Fort Osage and the Stephen Long Expedition. There are Veterans of the War of 1812, Civil War, Spanish-American War, WWI, WWII, Korea, and Vietnam buried in the Cemetery. Twenty percent of the graves are children which illustrates the high childhood mortality rate in the early 19th Century. Life expectancy in the 1800's was 30 years old and by the 1900's it was only 50 years old. 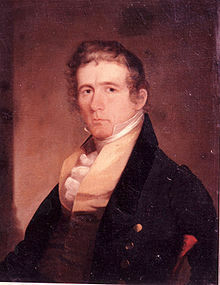 This reflects the high toll that diseases such as pneumonia, the flu, cholera and scurvy had on people and families. There is one family in the cemetery, the Triplett Family, and in the course of 19 years they had 11 children, of which they lost 8 of their children to diseases, such as typhoid fever and meningitis. These children, along with their parents, can be found here in this Sibley Cemetery. • The Cedar Trees planted in this cemetery and in other cemeteries are symbols of immortality. • The cemetery is a “Potter’s Field”, which means there is no set plots for the graves. • Most of the people buried in the Sibley Cemetery are grouped with their family. For a complete list of the graves in the Sibley Cemetery, visit the Cotton Hills digital cemetery database. 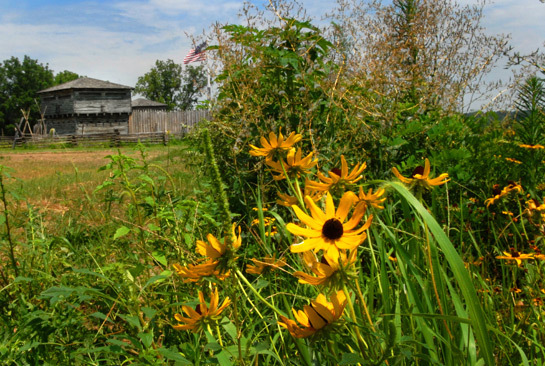 Alternatively, a printed copy of the Cemetery Directory can be purchased in the Fort Osage gift shop. The gift shop is in the Fort Osage Education Center. A view of the Santa Fe Trail Marker. This photo was taken between 1910 and 1940. 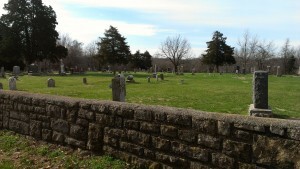 This cemetery is maintained by the Jackson County Parks + Rec. Since the Sibley Cemetery is filled beyond capacity, it is closed to all future burials. 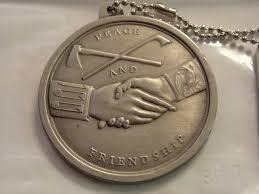 A symbol meaning farewell and the hope of meeting again in eternity. 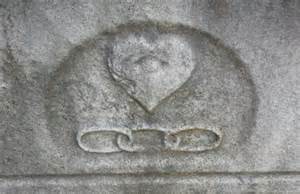 A symbol meaning innocence; used primarily on an infant's or a child's gravestone. A symbol used by both the Independent Order of Odd Fellows and the Masons, which means the deceased was of a charitable nature. The first and last letters of the Greek alphabet symbolizing the beginning and the end. Empty shoes symbolize the loss of a child. Usually one shoe is overturned. A loss of a loved one from a family. Symbolizing the pathway to Heaven or the deceased found a Heavenly reward. Sometimes with three initials, F, L, and T, signifying Friendship, Love and Truth, it is the most widely encountered symbol of the membership to the Independent Order of Odd Fellows. Usually will have the letter "G" in the middle. 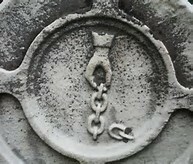 Found on gravestones to members of the Freemasons. Usually found in a triangle or within a sunburst. This symbol means the person was a Mason. Love, beauty, hope, unfailing love. Whether the rose is a bud, flower or somewhere in between indicates how old the person was at the time of death.